History can be found around every corner in the town of Ulysses, N.Y. It stretches back to the days of the Todarighroones Indians. Post-Revolutionary War settlers followed who cleared this wilderness. Later came entrepreneurs of water-powered industry and horse-powered farming. Dedicated to Adrian O. Pearsall, the UHS Museum opened on South Street in Trumansburg in 1998. Mr. Pearsall’s sons donated the funds for construction, and the Trumansburg School District provided the land. 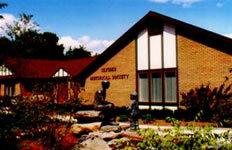 The society was established in 1975. 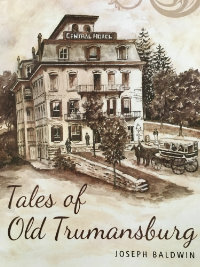 The quaint village of Trumansburg forms the centerpiece of the town, which includes several hamlets, such as Halseyville, Podunk, Jacksonville and Waterburg. Most thoroughfares in the town pass homes and barns built 150 or more years ago, as well as old churches and cemeteries. The tree-filled landscape includes the shores of Cayuga Lake, spectacular waterfalls and flowing streams. Silver Dan, “The Horse in the Window,” leads the way in celebrating the town’s heritage. Now greeting visitors to the Ulysses Historical Society (UHS) museum, Silver Dan originally modeled harnesses for sale in a local store.